"Aquainted", is a collection of work that examines the extraordinary and unique shapes created by the human form in an unusually beautiful, natural way that is non-sexual. 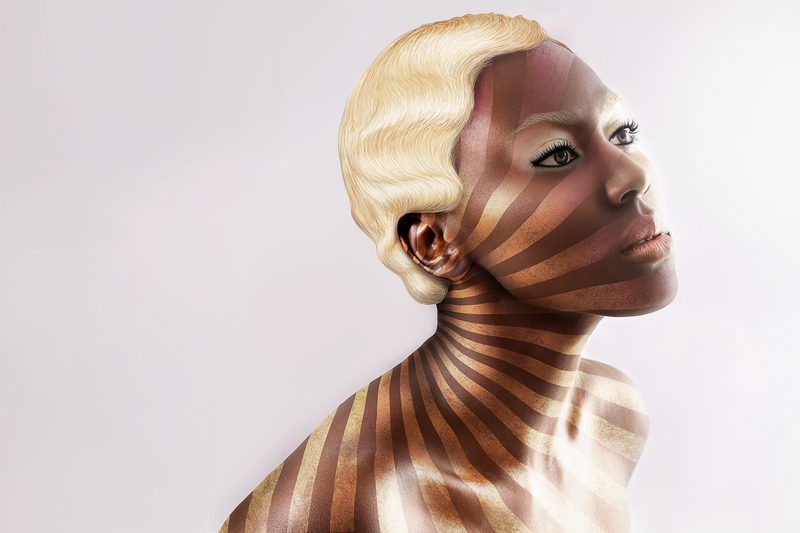 By combining photography with digital illustration, coloured lines wrap the contours to exaggerate and compliment the natural contours of the human body. Models were photographed without makeup, and with their hair pinned back. Final hair, makeup and coloured lines were created digitally.